My house is in chaos this weekend…I’m getting new flooring laid downstairs, there is clutter and dust everywhere! This is proving a bit of a challenge for me as I’m a tad obsessive when it comes to cleaning but I keep telling myself that it’ll be worth it in the end. Knowing that access to the kitchen would be somewhat limited I decided to whip up a quick batch of this pesto, so as soon as the workers left I could cook some gluten-free pasta and have a quick, simple but oh so yummy dinner. 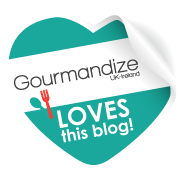 This pesto works well not only with pasta but I’ve used it over chicken and veggies, in sandwiches or just drizzled over tomatoes and topped with some crumbled goats cheese. 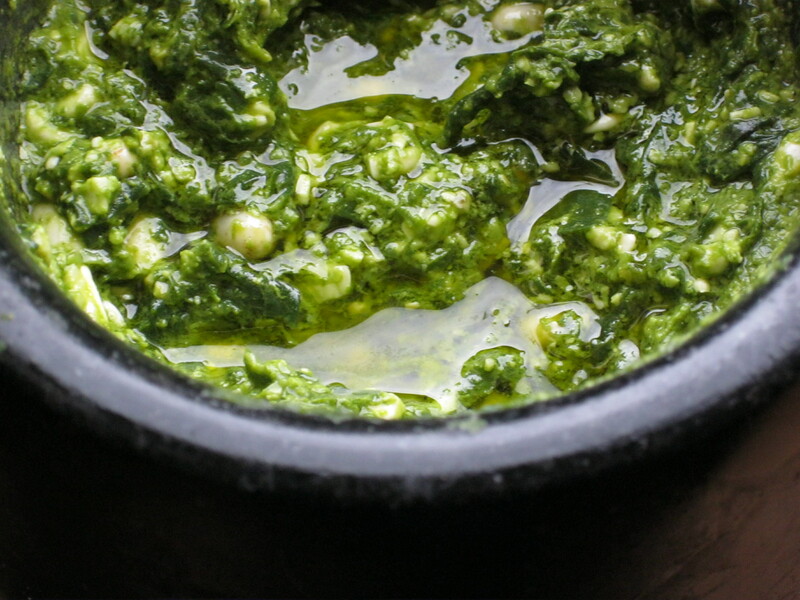 You can make this pesto in a blender but I prefer a pestle and mortar. It’s a bit of a stress relief bashing it all up plus it’s quite a good workout for the arms (just remember to alternate arms!). If soaking your garlic clove first; finely chop the garlic and cover with lemon juice for 10-15 minutes. Then drain. To toast your pine nuts, heat a frying pan on a medium heat and toast the nuts until browned, keep an eye on them as they can go from brown to burnt quite quickly. 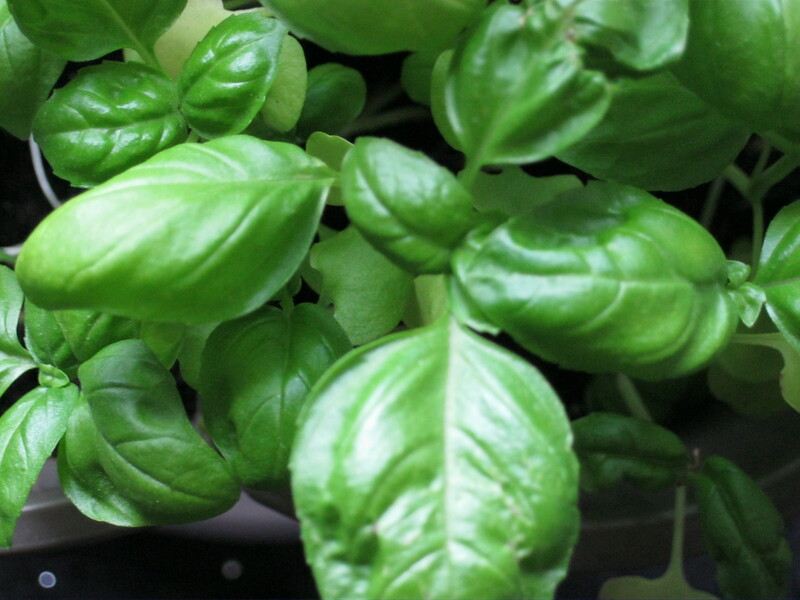 If making your pesto in a blender, place all ingredients in the blender and blend/pulse until the desired consistency, you may need to add more oil if you prefer a amore runny consistency. If using a pestle and mortar, bash up the chopped garlic clove with a pinch of salt into a paste. Next add the basil and bash until the leaves break down. You may need to do the leaves in batches to make room in the mortar. Add the oil and mix well then add the pine nuts. I don’t crush all the pine nuts as I like some crunch. Add the lemon juice and zest, mix well and season with salt and pepper to taste. Love this! Most pre made pesto sauces have milk in them so it’s great to find a recipe online! Great recipe! I will let you know when I have made this tomorrow as I eat pesto every day! !